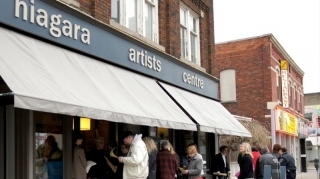 Current Programs and Services - Niagara Artists Centre offers a resource for the development of the contemporary arts in Niagara and a forum for the appreciation of contemporary arts in Niagara. 354 St. Paul Street E.
cNiagara is an online event listing and information site for culture in Niagara. Material is focused on the arts, heritage and festivals within Niagara, Ontario. Information is submitted by members of the culture community and administered by cNiagara staff. Want the latest news from cNiagara delivered to your inbox?